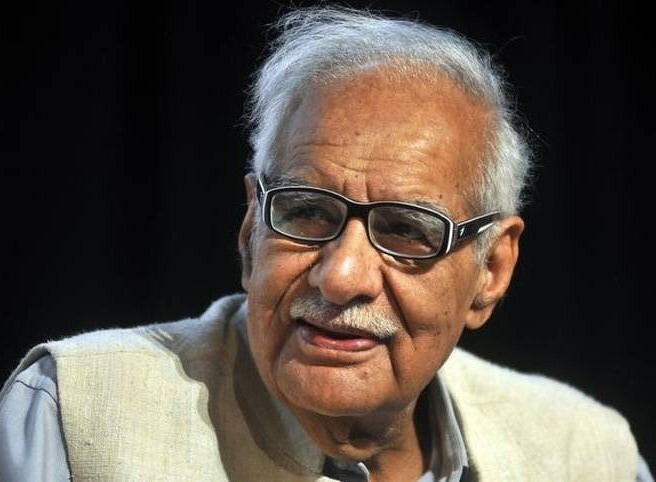 VETERAN JOURNALIST KULDEEP NAYAR passed away today, at the age of 95, perhaps bringing to close with him an era of honest reporting in this age of fake and paid news. Nirupam does not know that Kuldeep spelt his name as Nayar, unlike most Punjabi Nayyars and one Punjabi who adopted the Malayalam version, Hollywood film-maker Meera Nair. And his most famous book on (the then) current affairs was ‘Between The Lines’ not ‘Beyond The Line’ as mentioned by Nirupam, who perhaps did not read Kuldeep’s bylined column of the same name. The condoelnce served only to remind readers that he, Sanjay, was a member of Rajya Sabha. A Pakistani daily, The Express Tribune, distorted RIP (Requisit in Pace or Rest In Peace as commonly understood) to ‘Rest in Power’. Had he hankered after power, he would have cashed his job as IO in Press Information Bureau, later, or as Press Secretary to Prime Minister Lal Bahadur Shastri. Anyone who is 80 and waiting near the exit gate of life, for it to open, is likely to read most obituaries and write on them. Sticking to my practice of writing only personal recollections when eminent people die – and not what is already in public domain or on Internet – I recall meeting him several times. As the Editor-in-Chief he visited The Indian Express daily (then undivided) at an edition which I had launched as the first chief sub-editor. Talking to him I mentioned his student days in the USA. A close friend, the late Dr Singammal Iyengar, told me that when she went to the USA for the second time for her doctoral studies at the Northwestern University at Evanston near Chicago, he was in the prestigious Medeil School of journalism at that university. As a ‘senior’ she bossed over all the Indian students, helping them overcome the culture shock and teaching them expected basic behaviour. Her contact with journalism was minimal: she thought the United News of India (UNI) news agency which he headed when she ttold me about “that boy Kuldeep”, was a part of the United Nations! A look at Kuldip Nayar even in his later days shows he must have been a very handsome, tall, Punjabi youth. Many girls wanted to be noticed by him and told Dr Iyengar that he never socialised (that is, dated) and vanished after classes. The intended pun was to say that American universities had degrees even in subjects like dishwashing, with a dig at students getting degrees after washing dishes in a restaurent. Kuldeep was very quick on the uptake. He guessed that I was referring to the incident narrated by Dr Iyengar. He laughed it away, saying, “Oh, in those days, I had no money and had to work.” Having started his journalistic career in Urdu newspapers, he never wrote to show off his knowledge of English and even admitted wirting was not his forte. But humility certainly was. At least twice I took students of the journalism departrment, as a teacher in charge of their Delhi ‘study tour’, to his house and he spent quality time with them. I remember him chiding the Head of Department for bringing the students late. “You must teach them to keep time,” he had said. I regret that in my book on Indian journalism I wrote (as a joke, mentioning that he was a hihgly respected journbalist in India) about Kuldeep Nayar’s arrest by Indira Gandhi during the Emergency. I said someone described him as “Journalist-in-law”. He was the son-in-law of Bhimsen Sachar, the first Chief Minister of Bombay Presidency (before states were reorganised) and brother-in-law of the late Justice Rajendra Sachar.